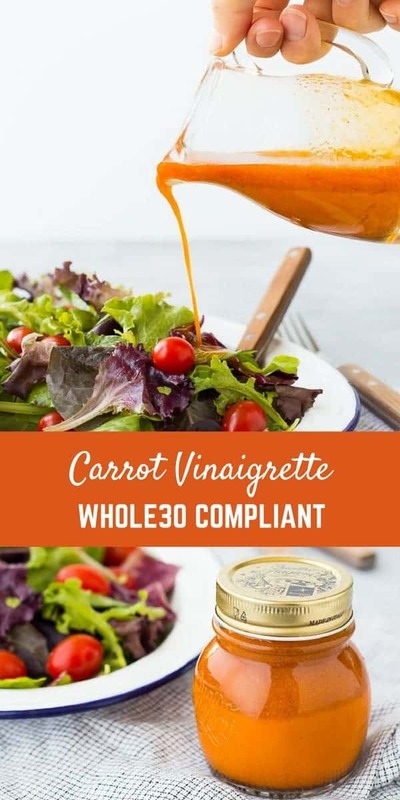 Sweetened and flavored with carrot juice, this vinaigrette salad dressing is free of added sugars but not short on flavor! It’s great on salads with southwestern toppings! Quick note – I have a reader survey going on right now, I’d love your feedback! It won’t take long and it will help me bring you exactly what you want in 2018. Thank you in advance! Click here to give me your feedback. Isn’t this dressing the most beautiful color? 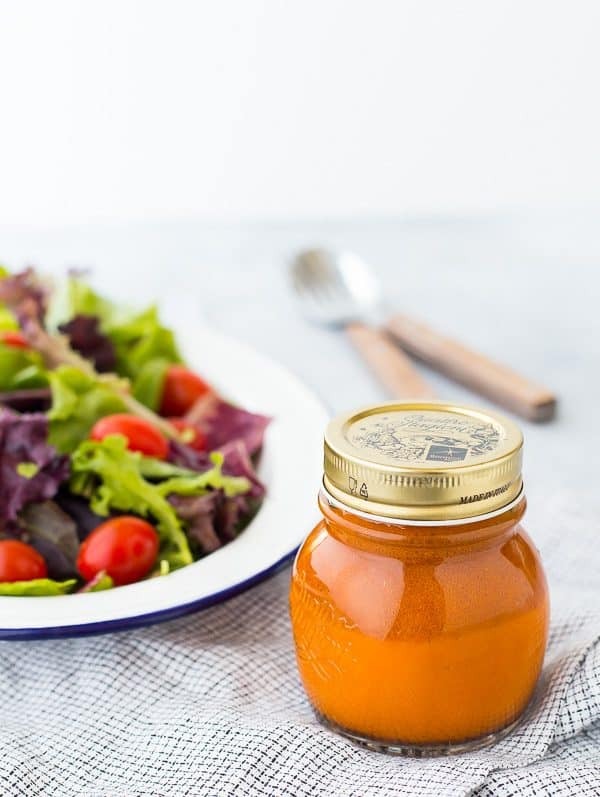 I love keeping a jar of salad dressing in the fridge and this carrot vinaigrette salad dressing is my new favorite. 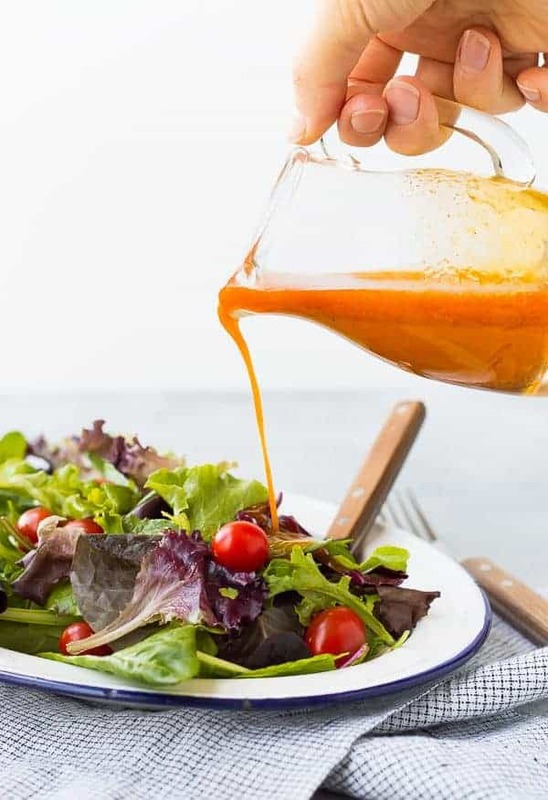 I hardly ever stray from my honey mustard vinaigrette, but this one is definitely worth straying for. I used pure carrot juice (I bought mine but if you have a juicer at home, make your own!) for the base of this dressing. 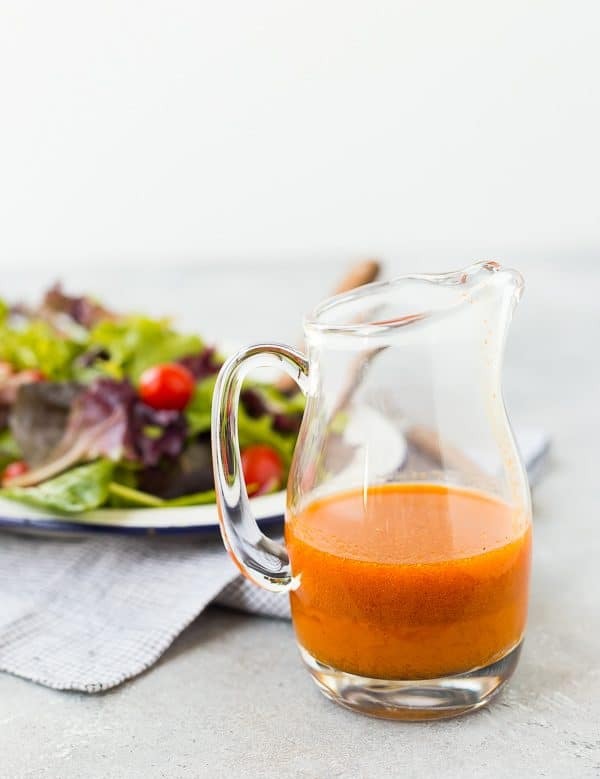 Not only does it add incredible flavor and color, but it also sweetens the dressing naturally since carrots are so beautifully sweet. The carrot juice just so happens to be the only sweet element of the dressing. Typically when I make dressing, I add a little honey to mellow things out a little and bring the dressing together. But with this dressing, it’s not at all necessary. Which, coincidentally (or not at all), makes it Whole30 compliant. However, I’ll be drinking eating this salad dressing all the time, not just when I’m following the Whole30 program. I love it on a tossed salad with southwestern toppings – picture mixed greens, black beans, chicken, roasted sweet potatoes, avocado, tomatoes and green onions. 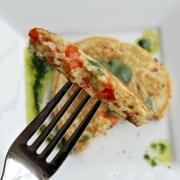 You could easily make it vegetarian or use steak instead of chicken, but the point is, it’s great on so many things. It doesn’t have an emulsifier like honey or mustard in it, so it does separate fairly quickly. 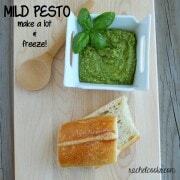 You’ll want to give it a good shake or stir and pour it on your salad right before tossing and serving. 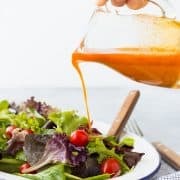 If you love making homemade dressing, make sure to try my poppy seed dressing and low-calorie homemade ranch dressing. In a jar, shake together all ingredients until combined. Note: This dressing doesn’t have an emulsifier like honey or mustard in it, so it does separate fairly quickly. 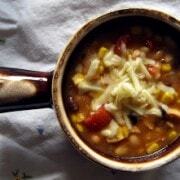 You’ll want to give it a good shake or stir and pour it on your salad right before tossing and serving. Verdict: I could have drank this dressing. Husband’s take: I’ll be honest, Ben didn’t love this dressing. He doesn’t like curry and the cumin in this reminded him of curry. I didn’t mind devouring it all myself. 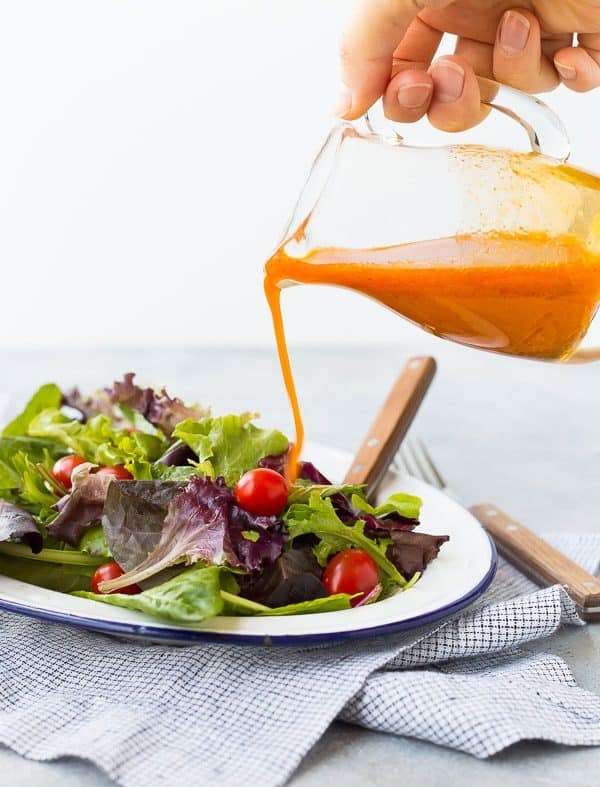 I love making homemade dressings – I’ve never made a carrot one, but I’m definitely going to try it now!